This family-friendly New Delhi hotel is located in Saket, within 1 mi (2 km) of Max Super Specialty Hospital and Select CITYWALK. Qutub Minar is 2.1 mi (3.3 km) away. Saket Station is 18 minutes by foot and Malviya Nagar Station is 18 minutes. This smoke-free hotel features 3 restaurants, an outdoor pool, and a health club. Valet parking is free. Other amenities include a bar/lounge, a sauna, and WiFi in public areas. All 220 individually furnished rooms feature WiFi and 24-hour room service. Guests can enjoy deep soaking tubs, and other standard amenities include minibars, premium bedding, and plasma TVs. 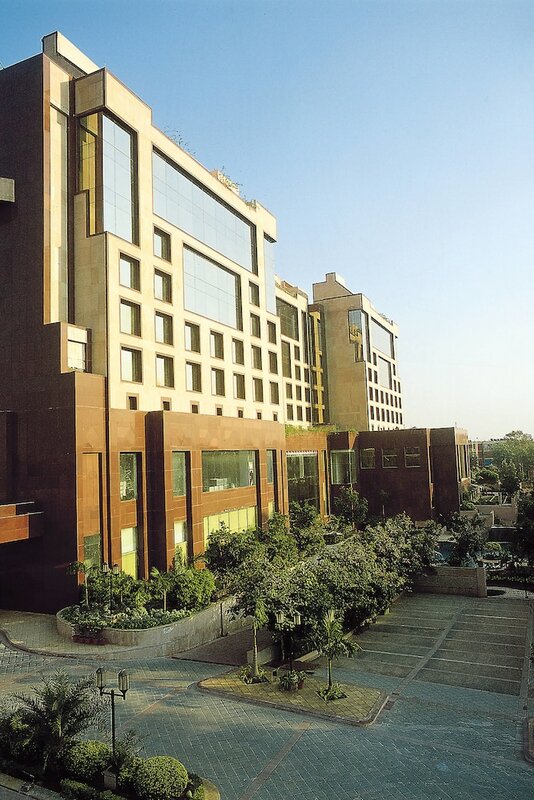 In addition to an outdoor pool and a children's pool, Sheraton New Delhi Hotel provides a health club and a sauna. Dining is available at one of the hotel's 3 restaurants. A bar/lounge is on site where guests can unwind with a drink. Public areas are equipped with wired and wireless Internet access (surcharge). This 5-star property offers access to a business center and limo/town car service. This luxury hotel also offers tour/ticket assistance, multilingual staff, and a garden. Onsite self parking and valet parking are complimentary. Sheraton New Delhi Hotel is a smoke-free property. Full breakfasts are available for a surcharge and are served each morning between 8:00 AM and 10:30 AM. Start your morning with a full breakfast, available each day from 8:00 AM to 10:30 AM for a surcharge. Room service is available around the clock.